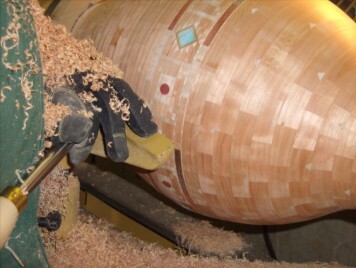 My name is Donald Briere and I am a Master Woodturner. Woodturning is my passion. Over the last 15+ years I have been creating unique designs using the art of woodturning. 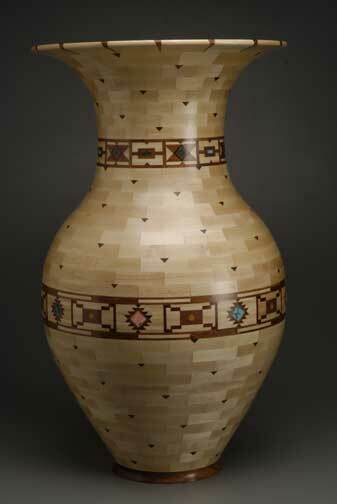 In 2009, I entered one of my pieces (seen below) in the League of NH Craftsmen's Fair at the Mt. Sunapee resort "Living With Crafts" for the first time and won Best in Show: http://www.nhcrafts.org/juried_members/displayartist.php?id=1670. Being a member of the League of New Hampshire Craftsmen has opened many doors for me. I truly enjoy crafting commissioned orders. It's a wonderful feeling creating a unique piece that comes from the hearts and minds of clients. My pieces are made from both domestic and exotic hardwoods along with semi precious stones such as malachite, turquoise and many others. 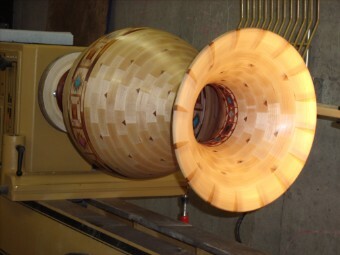 I mainly create segmented woodturnings ranging from a few pieces to thousands of pieces and also enjoy using solid woods.